From my 3L series. This cartoon is a mild historical challenge. Either you know the secret or you gotta do some research. It’s not all that hard to understand. 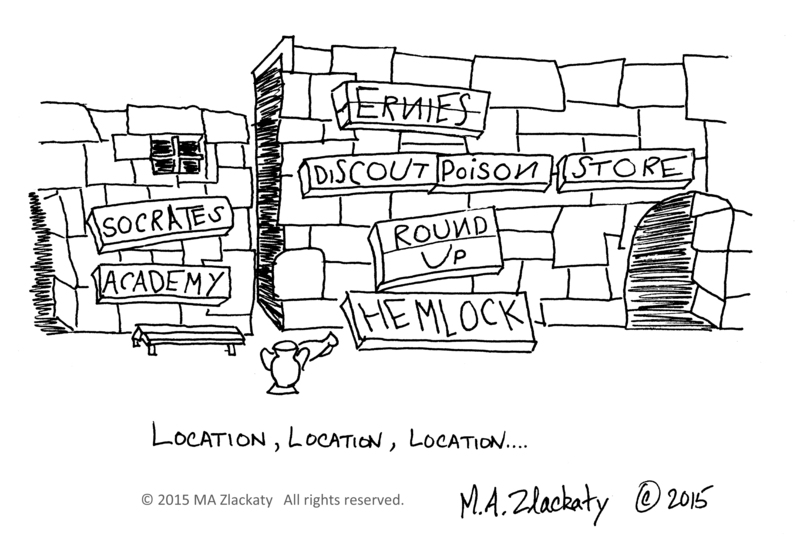 This entry was posted in 3 L's and tagged Cartoon, Greece, Humor, Socrates on May 27, 2015 by M.A. Zlackaty.